Development began, and Ikebata-san, you went to consult Miyamoto-san once every two weeks. When you did, what did Miyamoto-san have to say? (laughs) But what does that have to do with Luigi’s Mansion 2? I didn’t go to consult him alone – I took several team members with me – so at first, I thought he was trying to relieve our tension. But he talked about how, within the structure of a drama, events unfold within the story arc of a single episode and how it was produced and filmed, so I realised that paying attention to such things while watching TV shows is important for game development. And Miyamoto-san was watching programmes I had never seen, so the next week, I tried to watch them. If you didn’t, you couldn’t keep up with the conversation? 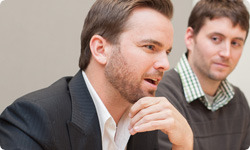 In other words, since you might ask them about it, everyone who attends a meeting prepares a summary of its main points, and as a result, everyone concentrates better in meetings. Well, when something is going well, people want you to stay out of it. But thinking about it later, talking about TV shows provided hints for development because you asked which scenes resonate and which ones don’t. That is actually one of the most important things when making a game. When you heard those things from Miyamoto-san, how did you convey them to Next Level Games? So to help them get the same idea, I would take a scene from a movie and ask how you can make something so that others can feel empathy towards it. How did that strike you at Next Level Games? Well, they were exactly the kinds of comments one would get from a sensei (teacher). 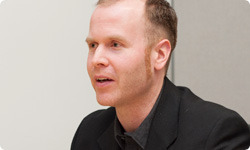 Rather than precise, concrete instructions like “Do this here,” he gave us comments like lessons from a high and wide perspective on the whole project – which was very informative. Miyamoto-san had said the things a producer has to think about and what a director has to think about, and they concerned the overall production of a game, so I simply relayed those comments as they were. But hearing “sensei”-like comments about the kinds of things you have to think about doesn’t necessarily mean that the people on the ground will be able to solve the problems in front of them, so didn’t you wonder what you were supposed to do? But Miyamoto-san would say, for example, “Is this really fun?” and “Is this how you want to make this?” Those are from the player’s perspective more than a game developer’s. It was incredibly informative to receive opinions from so many viewpoints. That’s right. It’s distinctive of Miyamoto-san how he has multiple, always-on perspectives. When you’re making something and get absorbed in one thing, there’s a tendency to let your focus fix on only that. Then, when problems arise, you often can’t solve them. But even in such cases, Miyamoto-san can shift his perspective and solve difficult problems. 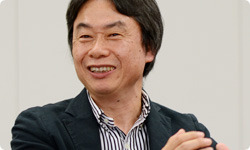 Miyamoto-san’s comments contained many hints for development, but one that made a particular impression on me was when he said, “Make something better today than you made yesterday.” That’s incredibly important as a director, so by putting those words into effect, even across a long development period, we were able to concentrate on each day. And when development continues for a long time, you tend to focus only on details. But Miyamoto-san even thought about how we should proceed the next few months and steered us in the right direction, which was very helpful. Development was geographically separated between Canada and Japan, but this will surely go down as another game in which Miyamoto-san was thoroughly involved. With SUPER MARIO 3D LAND6, Koichi Hayashida7 did the same thing. He termed them “Miyamoto-san’s wisdom.” He’s my rival (as a Miyamoto watcher).6. SUPER MARIO 3D LAND: An action game released for the Nintendo 3DS system in November 2011.7. Koichi Hayashida: Tokyo Production Department, Entertainment Analysis and Development Division. 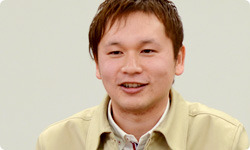 He has appeared in past sessions of “Iwata Asks” covering Super Mario Galaxy, Super Mario Galaxy 2, SUPER MARIO 3D LAND (Vol. 1), and SUPER MARIO 3D LAND (Vol. 2: The Producers).